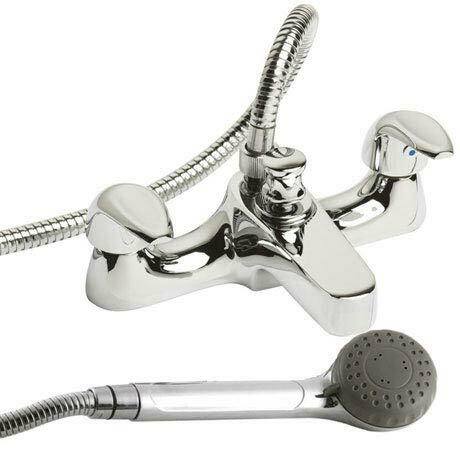 Eon deck mounted shower mixer w/ shower kit & wall bracket. Incorporating leading edge 1/4 turn ceramic disc valve technology. Eon is the perfect choice for people who like the simple things in life, a compact fitting with an easy to operate single lever temperature and flow control. Together with the Eon shower you can transform any bathroom. Service was outstanding we are well pleased with out purchase.